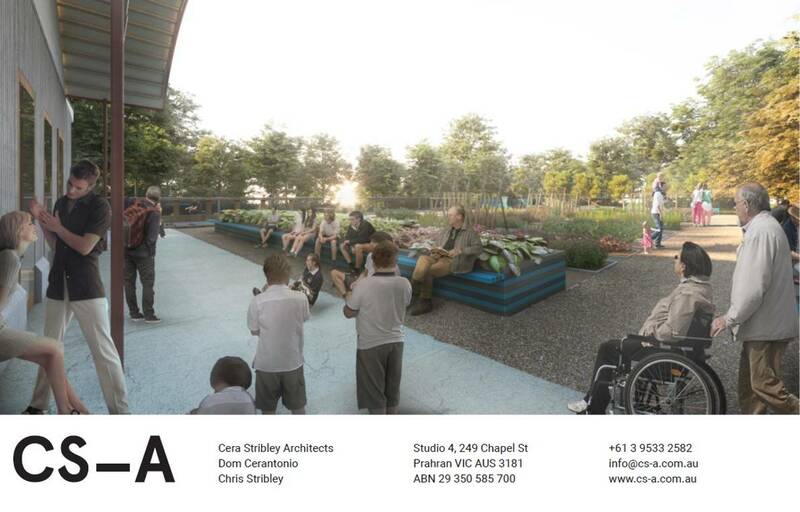 Above are two 3-D visualisations of the community garden and restored bocce lane planned for the old bocce site located next to the Railway House. A more detailed, annotated 2-D plan is almost completed and will soon be added here. These images are provided to give a general impression of the design plan and will not show every detail. The final design and accompanying images will soon be exhibited on site.The final proposed design and accompanying images will soon be exhibited on site as part of ongoing consultation process. Many people have asked questions about soil contamination. Detailed soil testing has been carried out on site by Prensa Pty Ltd, showing stable contaminants 30 cm below the granitic gravel surface. Consequently, we will be adopting the same soil management plan as that being used by other community gardens across the City of Yarra. Details of the soil testing report will be made available at the Neighbourhood House. It is apparently the most commonly found contaminant in our area and was used as ‘fill’ on many building sites back in the day when little was known about it. The community garden will use roughly 40 cubic metres of new soil and protective techno-fabric as a layer between the old and new soil. The next most commonly asked question is ‘Will there be private plots?’ and the answer is NO. All beds will be cared for by groups working together – be prepared to share 50% of your produce with others or with the Neighbourhood House. There is still much work to be done (such as lease agreements and planning permits), in order to get the project funded, built and working for our community. The Railway Neighbourhood House is working in collaboration with the City of Yarra Council. It is quite likely that the garden will not be up and running until 2020, but this year there will be a need for some volunteer labor at various stages of the construction. We don’t know the timelines as yet and we have only just had the design plan approved, but it is a really positive project and we look forward to meeting people interested to lend a hand and interested in gardening.